Magic Carpet Cleaning in Woodside Park N12 offer you all the cleaning services you need to keep your home or office carpet, rugs or upholstery in tip-top condition. We have a team of professional carpet cleaners, who are qualified and experienced to deliver fantastic results for every customer. No need to waste time looking for another company, we at Magic deliver what you need, when you need it. 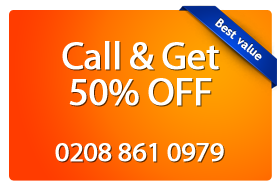 Call us today on 020 8861 0979 and claim your absolutely free quote. It comes with no obligation but we’re pretty sure our prices and discounts are among the most competitive you can find around. If you carpet cleaning needs are removing dirt, stain and grime from your carpet you can be sure that our Woodside Park carpet treatment will satisfy all your needs. Whether the job is large or small, our professional carpet cleaners in Woodside Park (N12) have the equipment and materials to dry or steam clean your carpet to your full satisfaction. Our staff is trained and certified and will be there the moment you call us. Do you need a professional carpet cleaning agency? Don’t hesitate to call Magic Carpet Cleaning now on 020 8861 0979. Claim your free price quote that comes without obligations on your part and book a services for a clean carpet. Our phone lines are open 24/7 so you can get in touch in a convenient for you tme. Talk to our back office representatives who will help you with your booking arrangements. You can discuss our services, tools and products we use as well learn more about our fantastic discounts. On the other hand, you can get in touch with us via our online booking form. Drop us a line or two and we will be soon contacting you.